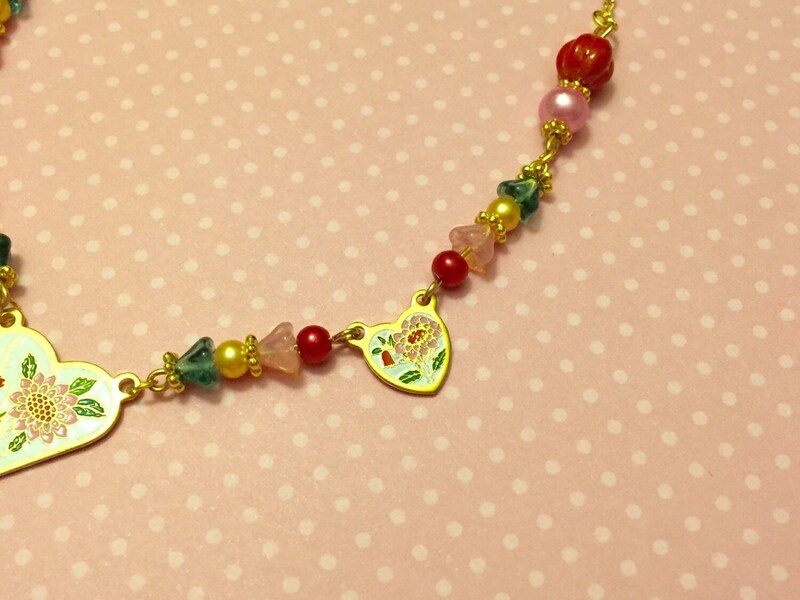 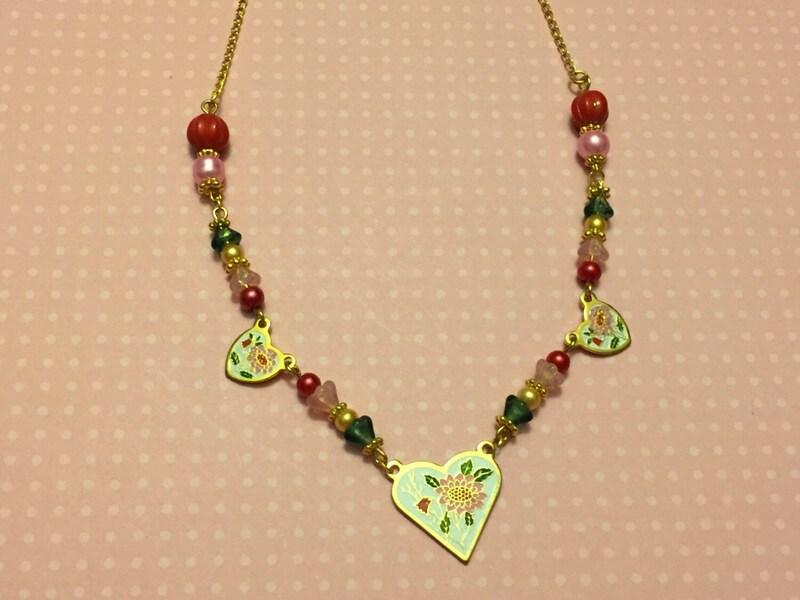 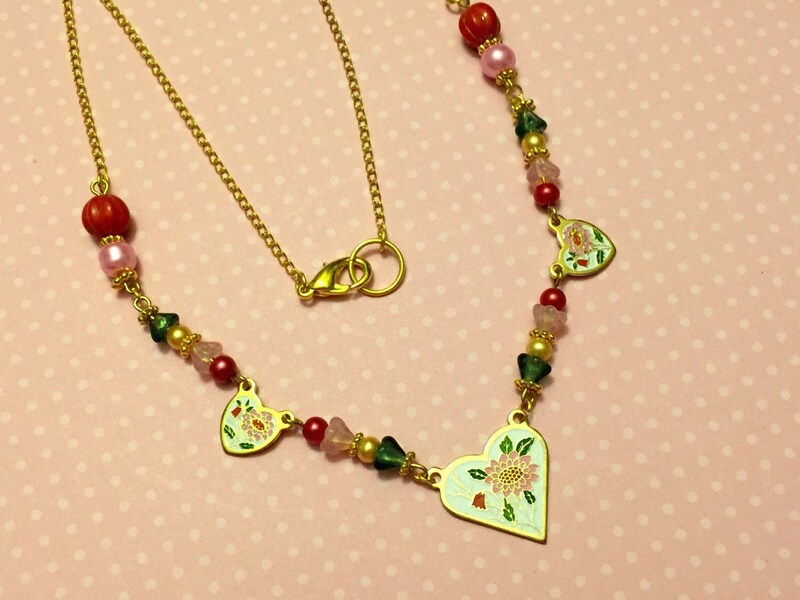 This necklace was inspired by the trio of vintage enameled metal charms that I used. 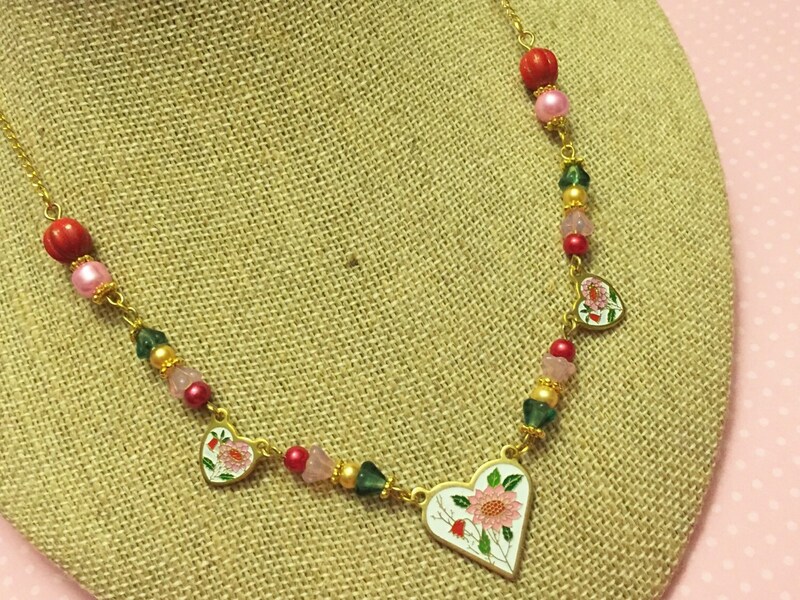 I coordinated czech glass flower beads, czech glass melon beads, glass pearl beads and gold findings to make the necklace. 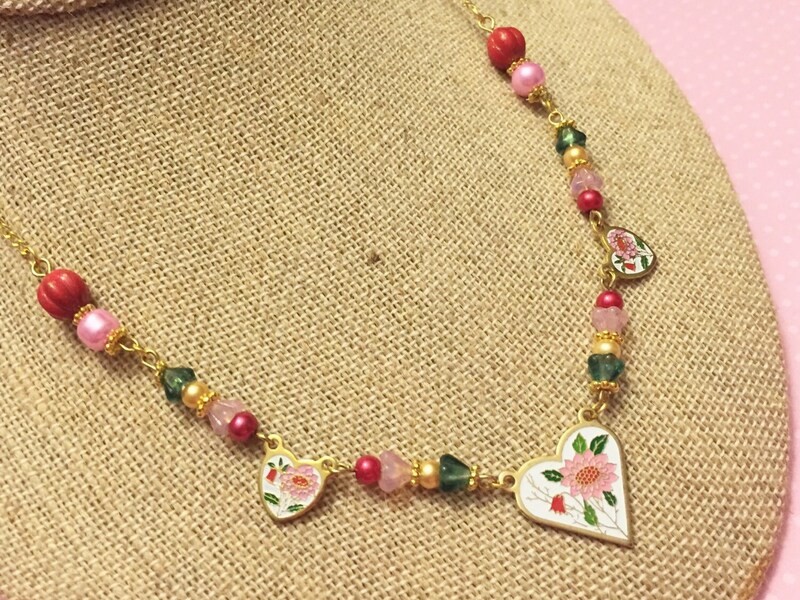 The necklace measures about 19 inches.